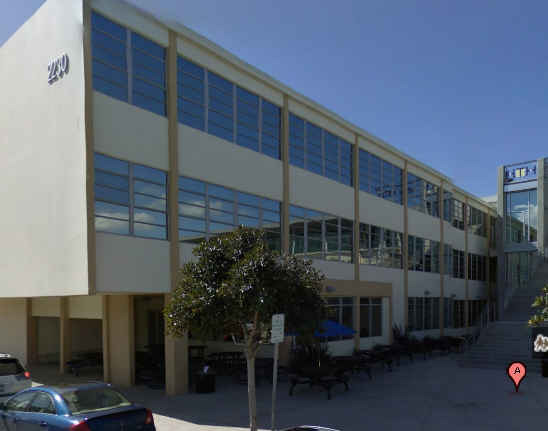 Is former principal of Point Loma charter school being hounded by U-T Watchdog? 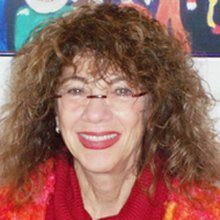 Jill Green was the founding principal of Explorer Elementary Charter School – a K-5 school located in the same building complex as High Tech High School in Point Loma. That was until she resigned at the end of April this year. Until she resigned, Green earned $110,277 annually. But allegations made by the charter school’s governing board that Green abused her expense account were raised, and these concerns ostensibly led to her departure. The board alleged that she spent thousands of dollars on business meals, wine, gifts, and even dog treats over the last two years on her credit card, expenses that were covered by taxpayers. The San Diego U-T’s Watchdog obtained statements and expense reports under the California Public Records Act for Green, and totaled her expenses of $37,868 for a 2-year period from April 2009 through March 2011. Jill Green, former principal of Explorer Elementary Charter School. Green and the board signed a separation agreement, giving her $59,000 in salary payments through late October, plus other compensation. Green had been given a $10,000 performance bonus by board trustees just this last December. The manner in which the board handled the action behind “closed doors” caused one trustee to resign, and at least one parent to complain of a lack of transparency. $14,896 was spent on food, with an average meal bill of $78.40. Receipts for many of the meals indicate the purchase was for a staff lunch or board member meeting, and some cited hospitality or professional development. Approximately $3,317 on gift cards and flowers for employees and others. The state Constitution bans gifts of public funds. Green purchased 31 gifts in the last two years, 17 of which were valued at more than $100. $727 was spent on wine, often accompanying dinner. A $500 outing to Wine Steals in Point Loma on the last day of school in 2009 included $198 for 12 bottles of wine, plus one glass. $450 on treats and toys for Green’s dog Gus, who frequently visited the school. Other expenses include school fittings, such as cubbies and classroom rugs, and phone bills, which in 2010 cost $263 for two phone lines on a family plan. The U-T reported that Explorer Elementary is a part of San Diego Unified and submits annual budgets to the district. Its finances are handled however through a partnership with the San Diego-based High Tech High charter system. High Tech High’s credit card agreement does bans alcohol and gift card purchases for employees, but permits meal purchases within professional development groups or those charged out of business necessity. This agreement had been signed by Green. The chief financial officer for High Tech High had signed off on her expenses. At its June meeting, the charter’s board strengthened its expense policies, and now the board treasurer will review the principal’s expenditures quarterly. The trustee who resigned in June, Tiveeda Stovall, stated that she was uncertain whether the board had acted appropriately in how it reported out its action from closed meetings held before Green’s departure. Founded in 2000, Explorer Elementary Charter School has been recognized as a California Distinguished School by the California Department of Education and serves 340 students in kindergarten through fifth grade. Twenty-five teachers are employed at the school, which emphasizes social and emotional intelligence. More than 1,200 students are typically on the wait list…. Nearly $38,000 over two years? That’s an average of $19,000 a year, or not even $1600 a month. I mean $450 spent on her dog, Gus – after all, he was brought to school and petted by the students. Is this all much to do about nothing? Are the allegations really only about small peanuts? Is Jill Green being hounded by the Watchdog? Or is it doing its job? Does it seem like no one was awake at the financial switch at the school? What do you think? I can’t comment on the specifics of Jill Green’s expenses. I had two kids go through Explorer, and they got a first-class education there, every bit as good as Francis Parker, and Jill is a visionary educator who has touched thousands of lives for the good. It seems to me a shame that someone who gave so much to this community has been tarnished in the press. Personally, outside of perhaps the dog treats, I don’t see any outrageous expenses here. She was a CEO–she had to take people to dinner. So they had a little wine. Big deal. That school lost a great educator. Having followed the situation surrounding Jill Green from the beginning & witnessing the havoc that ensued since her “departure” from Explorer, it’s my belief that accusations were “spun” until they worked to create the impression that grave abuses occurred. When the board was questioned about its transparency and asked about some of their actions, i.e. posting notice of an up coming meeting at school on a weekend, they promptly hired a team of attorneys, side stepped questions, and took cover. None of the parents I know at Explorer wish to disrupt our wonderful school any more than it already has been since the entire event occurred. However, to sit back while Ms. Green loses not only her job, but also her well earned reputation, is not possible. I do not believe the actions that were taken by this board were done for the reasons they claim, but were carried out to essentially force her out of her position at Explorer. As a parent of an Explorer student I have had to bear witness to this horrendous situation. My answer to the question is a definitive yes, Jill Green has been unfairly targeted by the UT Watchdog, in an article that belonged in the pages of the National Enquirer instead of a city newspaper. The amounts in question are nominal at best and truly expenses that most reasonable people would not question. Gus was a daily presence at the school, and $450 in 2 years for treats used by the students is hardly questionable. I certainly never heard board members that were recepients of the meals and wine complaining about who was paying. Ms Green helped to raise thousands of dollars in private funds, and I think the story presented is outrageous and slanderous. Why are the board treasurer, Brad Blose, and the CFO of HTH not being held accountable for allowing these expenses to go on for all these years if it was, in fact, an infraction of spending policy??? It is blaringly obvious that Jill Green was unfairly targeted by a select few who did not agree with her, and went on a “witch hunt” to find a reason to not renew her contract. The lack of transparency by the board is completely opposite from what Explorer and Ms Green stand for. Our children (and us) are taught based on a social-emotional cirriculum, which puts great emphasis on resolving conflict in a productive manner, giving all parties a chance to make things right. This was not only not done, but not even considered. I will not stand by and allow strangers to destroy the legacy of such a visionary in the field of education. What Jill has given to Explorer during her tenure will live on in the hearts, minds, and souls of the children and parents she has touched. She will be greatly missed, and our kids have been done a great disservice. I’m so old, I can remember when personal responsibility was important. U-T got it wrong. Channel 10 also got it wrong. It turns out the taxpayers were not “on the hook” for anything. Jill Green and Explorer did not misuse public funds. I’ve reviewed the spreadsheets and the receipts and I am very familiar with publicly supported, non-profit organizations (i.e., California Public Charter Schools). First, all monies received by California public charter schools from whatever source, public or private, are generally deposited into the school’s primary bank account. Public and private monies are co-mingled. But this does not result in these funds losing their restricted or unrestricted status. Public funds are generally “restricted” in certain ways. Private donations/funds are generally unrestricted. Over $180,000 in private funds were raised each year Jill Green was Principal of Explorer. Second, all of Jill Green’s “questionable” expenditures – school business meals, wine, dog treats, gifts – were paid from unrestricted funds derived from private donations and contributions. The U-T and Channel 10 falsely reported that public funds were used to pay what U-T characterized as questionable credit card charges. Third, it turns out Jill Green’s “questionable” expenditures only total at most $5,000 per year. And this small amount of “questionable” expenditures were paid for with private funds. So even if you think she should not have used the credit card for Gus’ dog treats, gifts, or business meals and wine with faculty, administrators, large donors and parents of Explorer and High Tech, it was not paid for by taxpayer monies—so what’s all the uproar about? U-T falsely and inaccurately lumped meals for children in its “Business Meals” and “Food” category. U-T also lumped staff lunches, Board of Trustee lunches, even coffee and fruit/bagels for morning staff and Board meetings into these categories. If you remove these items and only include individual meals with staff, faculty, Board members or parents, the amount spent per month is less than $200 per month. If you then remove the meals with individual or small groups of faculty, staff, Board members, faculty prospects, Board member prospects, the amount spent per month is less than $20. What you are left with after all these legitimate school expenses are Gus’ treats and a few gifts to faculty, staff and parents who volunteered significant amounts of time to the school. In other words, there doesn’t seem to be any real validity to the U-T article. The more interesting question is why didn’t the Explorer Board, it’s treasurer or the High Tech CFO tell the UT reporter that public funds were not used and that the taxpayers were not “on the hook” for business meals, wine, gifts and dog treats. These comments are from a parent of two perfectly educated students of Explorer Elementary Charter School. They are in no particular order. 1-Charismatic leaders make people uncomfortable because they push people to think bigger than they thought that they could. Two charismatic leaders under one umbrella lead to a flash point at some time in the continuum. That is what has happened here. Explorer was in its own bubble with nervous parents wondering where their children would matriculate to after Explorer. Out side of a few parents that had a liking to La Jolla Schools, there were not many savory choices that were palatable or affordable. When we had the chance to move to Point Loma and have access to our own building and to the High Tech Community Schools, we, as a parent body pushed for it. My son just finished 5th grade at Explorer and was the last class that began at the old La Jolla campus. We got our wish as a parent body and got to have access to schools for our children to matriculate to that we all thought would be fantastic. There were a couple of caveats there. One was that we wanted to maintain our identity with a separate charter and remain under the umbrella of the High Tech Community Schools but be separate from them and protect our social and emotional charter for learning. The second one, from a parent perspective, was that we liked our Director, Jill Green and wanted her to stay in position. As we came to Point Loma, and aligned our selves with the High Tech Community Schools, so too began the collision that was bound to happen between two charismatic leaders. Jill Green demands that children are treated with the respect and intelligence that they are born with. She demands it from parents, teachers and from the students to each other. If I had to pick a leader, to help me navigate my children’s development and learning, put me on the Jill Green Train every single time. Those that are made uncomfortable by her strength need to take a breath and share the light. 2-My children have been exquisitely educated by Miss Green and her staff. I cannot even begin to tell you what a tremendous impact that she has had on my two children’s lives. In particular, my son would not be the student that he is today without her careful crafting of his teacher selection. That care built a child into a student that is confident, insightful, sharp witted in the most sophisticated way and has learned to almost admit that he likes to write. If you only knew where we began, to end up here is short of remarkable. Not that he was not capable but in any other situation, others would not have seen his potential and taken 6 years to create it. Jill Green did that. Step by step, grade by grade, looping teacher by looping teacher. Now, he is in the 6th grade. He asks wonderful questions that push others to think. He can solve math problems from multiple entry points and teach that to others. All I can say is WOW! Yes the teachers carried out the vision. However, without Jill’s vision for my child, we do not have the end result. Some of her decisions for my child raised questions from other parents as to why. I always directed them to her and knew that she was always making decisions in the best interest of my child and both of them for that matter of fact. **Both of my children have completed the entire middle school science curriculum for the State of Illinois upon their 5th grade graduation from Explorer. In fact, they have completed the first quarter of freshman high school biology for the same state. **My children are self motivate learners and know how to fish for information and not be fed information. Imagine that!! Creative thinkers that don’t take the text book as the only resource and look to other places to find answers and validate what is being told to them. They got that from Explorer. **I am consistently told by other educators, outside adult authority figures, coaches, special interest teachers, etc., that my kids are different. Different in a great way. They look at things in a unique and intelligent way. Evidence for this: Both of them took the John’s Hopkins Center for Gifted and Talented, the SAT, and scored 80 percentile for children 4 years ahead of them in school. **My children learned how to be self advocates from Explorer Elementary and expanded on that in middle school. Thank you Jill. They still use that today. Jill needs to continue to craft a vision for other children just as she did for mine. The flash point created by two strong leaders is just that. It is a sad day for every child that Jill is not doing this now. The board is responsible, every one of them including the parents on the board that let it happen and did not have the back bone to stand up, High Tech Community Schools are responsible for poor expense management and communication of what standards and future expectations and High Tech Community Schools upper managements inability to get past the flash point. Big mistake on behalf of all of the children in San Diego County. I love these schools. I am privileged to have been a part of them and support them still today. There is no perfect school. These schools are as good as it get folks. I mean it. As you second guess what you are doing for your children, be grateful for what you have. HTMMA, HTM, HTH, HTHI and HTHMA and Explorer. Jill, thank you for getting us to Point Loma, thank you for loving my kids, thank you for helping to make me a better parent and giving me access to learn that for free at school, thank you for your ingenious way of finding the exemplary student in each child. You can try to replace Jill, but you will not find that any place else. My goodness, and your point besides how bright your chilfren are? It’s alright with you if she spent your donation and tax dollars? Please, you can’t approve the spending for all of our dollars. Oh and my amazing, highly intelligent kids got a great education at Explorer. But before they stepped into any school, they were exceptional. Thank you for your feedback. Obviously you are mot familiar with project management, the six sigma concept or process improvement used accross many industries. Bench marking a standard for measurement is a used daily. Since I no access to group data to support my idea, I can only use the limited data that I have in my children. Benchmarking is also a way to bring stake holders to an ahreement of what good looks like. Perhaps if there were more thoughtful replies and less, ” Me too” we would fond ourselves in a different situation. Your reply underscores the need for visionary educators like Jill to help bring all of us to creative break through results. Actually for a time worked for GE corporate. Know all about six sigma. Being a black belt. Not at any of the meetings I attended did we discuss our personal experience (kids accomplishments ) as framework for success. The proud references to your children (we all have them at Explorer) in every comment/statement you make at the schools gets old and long. And yes, perhaps the reply hit a little below the belt. I apologize. I am an Explorer parent who actually reviewed all the receipts in question by borrowing a copy from the person who got them under the Public Records. Act. Because I know all the names of teachers, families, Board members and staff (as a long-time parent of the school), and also because I am aware of all the school-related events we have each year at Explorer, it was fairly easy to see when going through the 307 pages of receipts that Jill’s expenditures were legitimate and related to the school. It seems most of the receipts were for equipment and supplies purchased for the school and classrooms (teacher names and classrooms were even noted for any purchase). A large number of the business meals were with Zoltan Sarda, a teacher who did a lot of school planning with Jill related to the social-emotional curriculum. I didn’t see anything that looked excessive or questionable. Anyone who attends Explorer knows that Gus is like the school mascot, and that students (and their younger siblings) feed Gus treats all day at school, so questioning this small amount of money over 2 years would be the same as questioning the purchase of food for animals in the science lab—ridiculous. It’s pretty clear to parents who have been at Explorer for a long time that Jill was a fantastic Principal who led the school to its success. It’s also pretty clear that this Board action in forcing Jill out was political and Jill got a raw deal. The U-T really missed the story and misled the community. Glad to see that at least one reporter here at the OB Rag had the sense to question this issue and could tell that the U-T piece doesn’t smell quite right. Also, a lot of parents (like a few hundred)–not just 1—protested Jill’s departure for many months and the school is pretty divided now. That wasn’t reported either by the U-T or Channel 10. People should look at the public records from Board meetings if you want to learn more. This was a pretty big deal for our school and I attended some of those Board meetings myself. The parents who are believing that Jill did something wrong haven’t looked at the facts, in my opinion. Yes sadly the UT did not tell the full story. My children as well have been at the school for a decade, we’ve love our experience. As parents, we have volunteered, donated, been to every school function, know the same names in the documents. Sadly, there were meals with friends. Please don’t advocate elsewise. If Jill had taken responsibility (and yes she was told months ago), this probably would have been avoided. Please stop inferring the board (no I don’t like the way they handled the situation), and especially HTH (thank goodness for Kay) were responsible. jill was responsible and needs to accept and move on. This will hopefully allow these few parents who are continuing their crusade to return back home and do what we all want hope for: raising healthy responsible, loving children to shape our future. Please stop. And now, as their final nail in the coffin, the Board or their friends have smeared Jill in the press. And you want the PARENTS to stop? YES. The school certainly missed Jill. It was saddened with Coach’s departure and her wonderful send off on the last day of school. People leave in our lives. As parents and adults it is our role to model healthy reactions for our children to encourage resilience they when most certainly will be faced with challenges, stress, adversity, and sadness. Thanks for saying this – – it needs to be said. Apparently some people are not listening. Hopefully with time they will. I know I certainly have made mistakes, learned and try not to repeat. Shame on the UT and Channel 10 for misleading readers and viewers with sensational accusations and continuing the unwarranted injustice done to Jill Green. The “facts” reported about Jill Green’s credit card expenses are inexcusably inaccurate. Taxpayers did NOT pay for wine, dog treats and business meals. All of these expenses were paid for with private donations, not public funds as sensationally stated by the UT. All Jill Green expenditures were school related as indicated by receipts for every item. The real facts, not emphasized in any report, are that Jill Green was never told to curtail her spending, her 2010 review was stellar, she received a bonus from the Board for her exemplar performance, and yet her contract for 2011/2012 was ludicrously not renewed. How is it not completely unethical, unprofessional, and perhaps unlawful to coerce an employee into resigning without any prior complaint or notice of unsatisfactory performance? How is it not completely unconscionable to have that employee sign an iron clad termination agreement that prohibits any legal dispute over mistreatment? How would an employee know that her actions were questionable if for 18 months her expense reports were paid and unquestioned? How would an employee know that she was anything but the exemplar employee of her previous review unless concerns were brought to her attention and she was given a reasonable amount of time to make changes? The Board’s lack of willingness to be fair with an employee, their mistaken lack of appreciation for Jill’s unwavering love for children, her passion for their education and her professional ability to create a recognized School of Distinction, the Board’s lack of transparency of their actions makes one ponder what the actual ulterior motives could have been in Jill Green’s departure. Thank you for questioning whether the UT and Channel 10 got their story correct. It’s a disgrace what damage has been done by their inaccurate reporting and sensational headlines. First, I’d like to thank everyone who has continued to speak up on behalf of Jill’s side of the story seeing the light of day. There are so many things about this whole episode that do not sit well with me, from the start where when Parents had questions, the Board asked us to lie to our children (1st red flag), to when the Board poorly attempted to justify its moneys spent on lawyer fees. WOW, How is it that after all of the parents attending numerous meetings in attempts to get the truth from the Board, that this story was leaked to the UT? So not only was the Brown act violated in not disclosing the meeting about Jill properly, to some of the Boards spouses making “insider” comments about Jill situation publicly, to now the Boards side is being “leaked” to reporters in a poor attempt to turn the focus away from them (Explorers Board of Directors). Is anyone asking why did this story come out now? Why did a Board Member resign? When did the Board start retaining advice from a lawyer on this issue? I do not blame the UT for how the story was ran, with people hardly being able to afford gas to get to work, having a receipt with $400+ for dog treats is all of the “proof” their journalistic integrity needed to run the story. And lets face it, with the scale on government corruption we have witnessed in the past couple of years, is it surprising to hear that money at a school is not being spent responsibility? (not to imply that Jill’s spending was). It saddens me to think that this is what the Board did with its opportunity to impact children’s life’s, my children’s life. Any Parent whose children has attended Explorer for longer than a day can attest to you how valuable, and fundamental this school has been in raising healthy, and socially responsible young people. I’m angered that the Board would tell us, the Parents, that the truth cannot be told about what happened because it could be damaging to Explorer as a Charter, then leak the story to the News, which I am 100% positive was more damaging to Explorer than anything that Jill has done. It troubles me, because the Board made the conscious decision to use the love that Parents have for their Children as leverage against them inquiring about what really happened. Truly attempting to control us through the use of Fear. I am also disappointed with Jill, she chose to agree to leave, receiving her bonus, and did not attempt to do the right thing. A lot of this could have been avoided just by practicing the same lessons Explorer has became known for instilling in our children. However, unlike the Board, I do believe that Jill’s choice to leave, and not speak up was made in what she considered was acting on behalf of the Children’s best interest. Is it a coincidence that we have seen teachers leave Explorer since this whole issue started last year? Because of the actions of Explorers Board of Directors, I’m unwilling to provide any additional funding/donations to the school, which hurts to say, as I know that my decision only impacts the people that need it the most. But, I cannot continue to support this type of leadership. I ask that any people, or parents feeling the same way do the same. Apparently, only by associating inappropriate behavior to a dollar value can we see justification for change to occur. I certainly hope our children can be better leaders than we have shown ourselves to be. I understand the coordinated effort by these few parents to help rehabilitate Jill’s very tarnished image. What might work best would be responsibility. With that, the majority of parents who are angered at her actions might show forgiveness and stop posting the truthful(and sadly hurtful ) comments on the UT website. If Jill can’t accept any responsibility, then I wish these few parents would stop posting comments. It doesn’t help the vast majority of us who really want the school to move forward. I think we all wish Jill well. Your continued posting and emails only make more people more angry at Jill, and all of you. What does Jill need to take responsibility for? I ask this question not sarcastically but honestly. I don’t see what she did wrong. Have you reviwed the receipts like I and some others have? Again, as I’ve said before in my comments, I really wish parents who are condemning Jill based on what they’ve read in the U-T or by what the Board has told them would actually take the time to review the evidence themselves. I’ve done this, it took me several hours, and I can’t see anything that looks like personal or unjustifiable spending. In what education setting, or business setting, do you take your coworkers out to a nice restaurant to work on the companies dime? I know dozens of teachers, both in private and public that haven’t had that invitation from their principal. In a business setting if I want to discuss work, it is at work. If we are hungry, it is on us. You evidently are confusing business practices within a private entity with business in a government funded organization or publicly owned corporation. Shareholders or taxpayers would not condone these practices, no matter how small you percieve the infraction. She needs to accept responsibility for this transgression. If in the past she had been allowed), then she needs to accept responsibility for that mistake. Finally I have reveiwed the receipts and spread sheet. I don’t mean to sound insulting, but do you really believe those were all “business” dinners? I have talked with a few of these guests…they have a very different interpretation. It is apparent we will never agree on Jill’s account of what constitutes an appropriate expense. Hopefully we can all agree that the best interest of the school and children are of most importance. And continuing to insinuate a legal threat to the board is not in the best interest of the school. The only people who have requested and reviewed all the receipts are the Board members, Jean Kluver (interim principal and wife of CEO of High Tech Learning), Kay McElrath (CFO of High Tech Learning), and a few parents who support Jill—-because no one else has made a public records request and only the Board members and Jean Kluver and Kay McElrath would have access to the receipts without a records request. So this means you (“Please Stop”) are either a Board member or some administrator related to HTH speaking. I’m sure you want all the parents to move on and leave you alone. But you have never answered all the parents’ concerns and questions, such as why you lied to the parent body, why you forced our Principal out mid-year, why you wouldn’t resolve an internal dispute like this by allowing repayment which was offered by Jill Green. And it came out at the Board meetings (which I think are posted online) that there was a real sneakiness to everything the Board did. A lot of parents who are lawyers still believe the Board violated the Brown Act. Sure, you want everyone to move on. But I think you will see, when it comes time for parents to give money, your “let’s move on” mantra isn’t working. I, for one, do not trust the Board and too much doubt is left in my mind for me to “move on” and forget about this. It’s a shame and yet the Board won’t take any responsibility. Kind of ironic you are saying Jill Green should take responsibility. Isn’t that the pot calling the kettle black? Gosh you are full of anger, and on such a sad day. I read the UT article, looked at the attached documents including the expense spreadsheet, asked some questions, and made the decision by myself that it was right for Jill to step down. I am allowed to make that decision. You are allowed to yours. It seems our difference is that I’m not planning to file suit against Jill or any of “her supporters”, or in any way threaten or bully them. Please find some peace. And I know we are both old enough to remember ” two wrongs don’t make a right”. The boards actions are not admirable, neither was Jills. Hopefully both will move on and allow new positive influences to grace our beautiful school. I’m hoping we both can agree that Explorer is greater than any of our individual differences. Lastly, your reply seems to deflect my first comments on responsibility. I’d prefer that discussion. I don’t know what you mean when you say “filing suit.” No one has filed suit against the Board. Even the parents who challenged the Board on the Brown Act never filed suit. I saw all the emails that went around and I saw the parent letter to the Board (published by the Board), and this letter called for mediation. The parent group always wanted mediation. This “filing suit” stuff is part of the misinformation the Board has disseminated. The Board refused to mediate and spent about $30,000 in school money on legal fees to take a “we won’t negotiate” position. Yes, I am angry and so are other parents I have spoken with. The Board won’t listen to parent concerns, they are dishonest and threw our school and our kids into havoc over something that could have been easily settled internally with restitution, assuming you are right and some of the spending was excessive. And then there’s the issue of what they did to Jill Green’s life and reputation—does that matter for nothing? I wasn’t particularly close to Jill but the lack of ethics and morals in what the Board did to her—that’s not something I can just “move on” from. And Jill Green did take responsibility the first time they raised the expense issue with her—go read her statement to the press which the OB Rag printed. She offered to pay back any questionable expenses immediately, she offered to surrender her card, she offered to follow any new policies the Board wanted to institute. She did everything she could in good faith to show that she never intentionally meant to do harm to the school. What more could she do? Perhaps “filing suit” is not the most accurate terminology. I imagine sending lengthy documents to the board in July from a parent who happens to be a lawyer (and spouse of Jills attorney) and requests information and discovery and insinuates illegal practices would be somewhat threatening, and would require legal response. The monies being spent at the school for legal counsel are in large part because of this small parent contingent. Continuously demanding and requesting mediation months after a decision has been made is irrational. I hold this same group largely responsible for Jill’s tarnished image, and now the school. I have read Jill’s letter. With sadness, it appears to me that she didn’t believe spending monies on meals, gifts, and treats was inappropriate. It may appear that transgression was too large an oversight for the school to allow simply paying back expenses. I think the overwhelming majority of the parent group really honors and respects Jill. We wish her well. I hope you reciprocate those feelings with regard to the school and all the children. Your above comments lead me to believe you are more concerned with “bringing down the board” than maintaining a positive energy in the school. And most importantly, despite all the chaos of last spring, the children, teachers and staff at Explorer appear to be thriving. I wish you well and hope you find some peace in this matter. I have had two children through explorer, one in the first year it opened. I am familiar with the hard work Jill has performed for our school and students. I am also very very familiar with the emphasis on fundraising, certainly many of my dollars have gone to the school. However, I have worked in the non-profit sector for many years and I can tell you my CEO would never have such expense acount flexibility. She would not spend hard earned fundraising dollars on dog treats or wine related meals for staff – in fact we have a very clear policy that alcohol is not covered. I am proud of this as it means the donors of our non-profit know that every penny is spent appropriately. If I had known the $ I had donated to explorer went to some of the items listed, I would not have given so generously, especially being a single parent with limited funds. I went without nice meals and wine so I could proudly give $ to the school. That said, I can see this entire situation was handled poorly. I respect Jill, bless her and will miss her. I am confident that if the board had suggested Jill use her expense account in a more appropriate manner, she would have done so with grace and dignity. By the way, quite a few of the purchases listed appeared to be appropriate. Bless you and be strong Jill. Please don’t let this situation get in the way of your special spirit. Mrs. Jill did none of the things she is being accused of. She is the sweetest person I know. She would never do anything to hurt anybody intentionally. Jill does not deserve what the U-T people are saying. She is a kind hearted, loving, caring, respectful, gentle, lovable, funny and very special person and she is willing to help anyone in a time of need. She will do anything for people because she is so caring and compasionite. So stop the rumors. Newer Article: Did you know Steve Marquez? His body was found floating in Mission Bay on Wednesday.